Severe weather pummeled Austin, TX on Saturday. 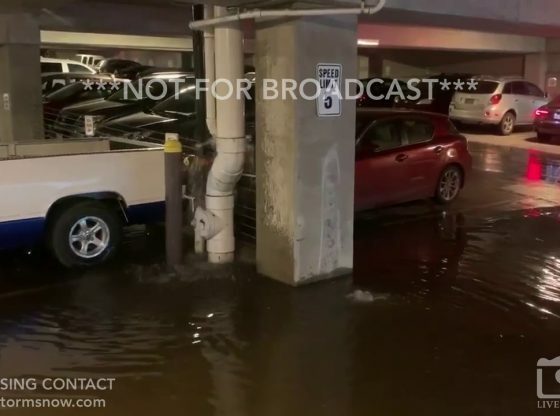 The parking garage at the popular Domain Shopping Center saw pooling of water as the drainage pipes were overwhelmed with rain water. During the overnight hours, hail was prevalent across Central Texas. TEXAS – With rainfalls totals over half a foot in some areas, Central Texas cities were hit with a massive storm this past weekend. Photos came flooding into the newsroom of flooded streets, some light hail, and lightning. Austin, Texas Hail Map - All Hail Reports Near Austin, Texas. A map showing all hail, wind and tornado reports near Austin, Texas for the last six years.